Hawaii is a paradise that very few other places on Earth can compare to. The tropical feel, enchanting views, and flawless beaches make this place a little slice of Heaven nestled blissfully in the Pacific Ocean. When I tell most of my friends that I’m traveling to the Hawaiian island of Oahu next month, their initial response is almost always: “But isn’t that incredibly expensive? 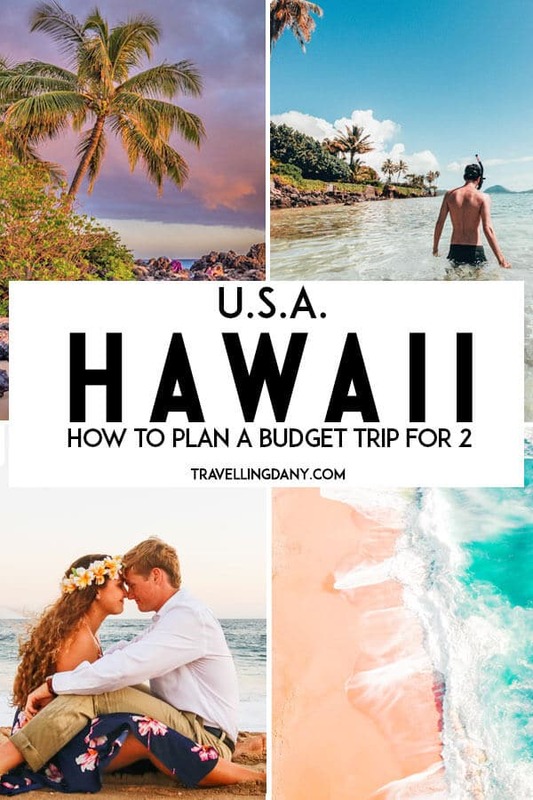 Are you really planning a trip to Hawaii on a budget?“. Honestly, I can’t blame them. With round-trip flight prices from my hometown to Honolulu averaging about $700 or more per person, it seems like a luxurious trip you’d probably save for your honeymoon or another special occasion. 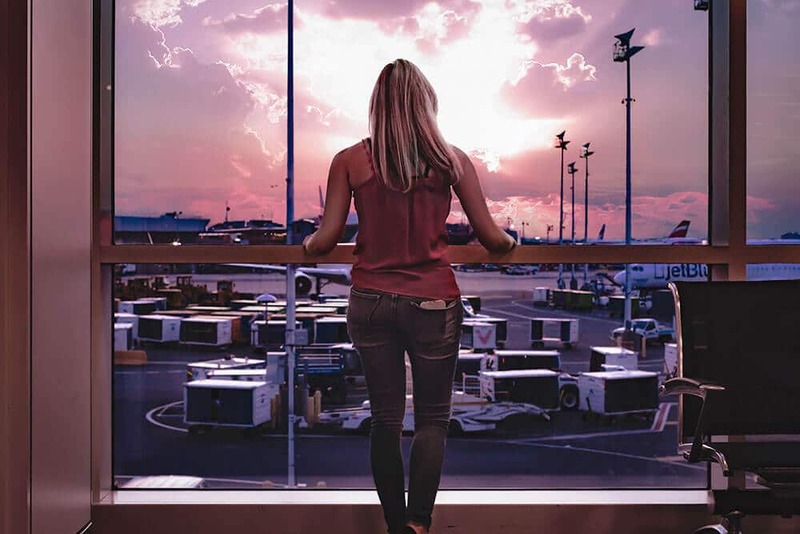 However, what many people don’t realize is that there are actually some incredible ways to cut costs when traveling to paradise… if you’re willing to make a few sacrifices. 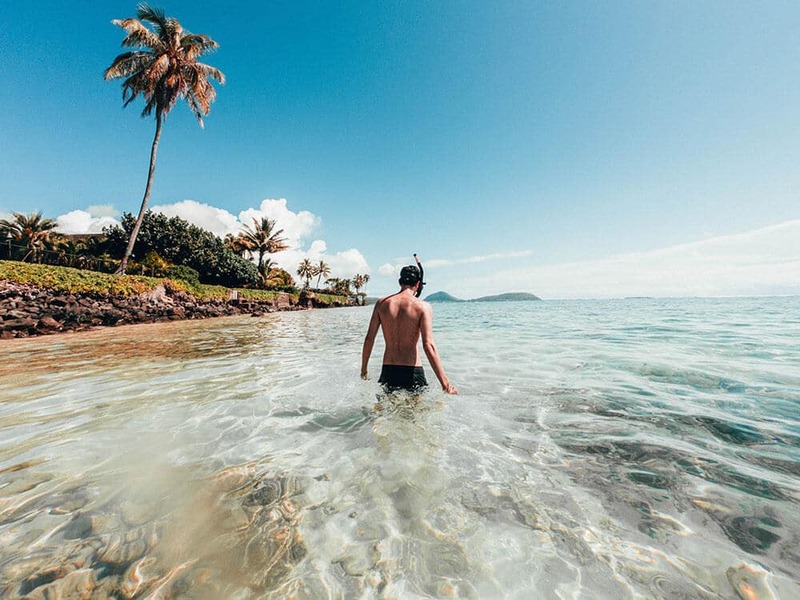 As a recent college grad, I certainly wasn’t ready to shell out thousands of dollars for a few days in Honolulu, but I knew I could visit Hawaii on a budget, so I worked hard to minimize expenses. 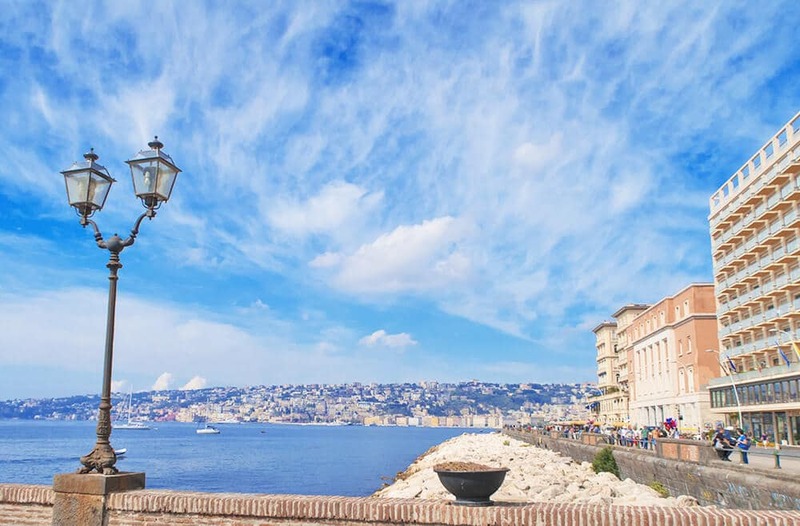 Here are the top five methods I ended up using to keep my costs reasonable while spending five days in one of the most beautiful places in the world. Enough with watching everyone else going on amazing trips: it’s your turn now! If you’re visualizing spacious seats and a direct flight to Honolulu for a fair price, squash that $1,000 dream right now. More often than not, the only way to travel to Hawaii for a fair price is to sacrifice a little time and comfort. When you are shopping around for Hawaii deals, search for flights with one or two layovers and book a seat with as few add-ons as possible. When my fiancé and I go, we’ll be taking a pretty long flight with a three-hour layover and no carry-on luggage. We plan to pack light and travel minimally, and because we’re willing to sacrifice, we saved a total of about $800 combined. Flying anywhere these days is rarely a good experience, unless you have tons of money that is. However, when you look back on your (hopefully!) all inclusive Hawaii retreat, you probably won’t be thinking about the layover or your cramped seat in the airplane. That being said, save your money on transit and use it to live it up the best beaches in Honolulu and the surrounding areas. I promise you won’t regret it! When you look at Honolulu hotels and AirBnBs, you’re going to be tempted to pick one with a gorgeous view. The problem is that you’ll pay big bucks for that view, and in reality, you probably won’t spend that much time in your rental. Instead, pick a reasonably priced place that’s central to all of the beaches and Oahu attractions you want to check out. This will help you cut down on transportation time and save you from stumbling into the ocean-view tourist trap. 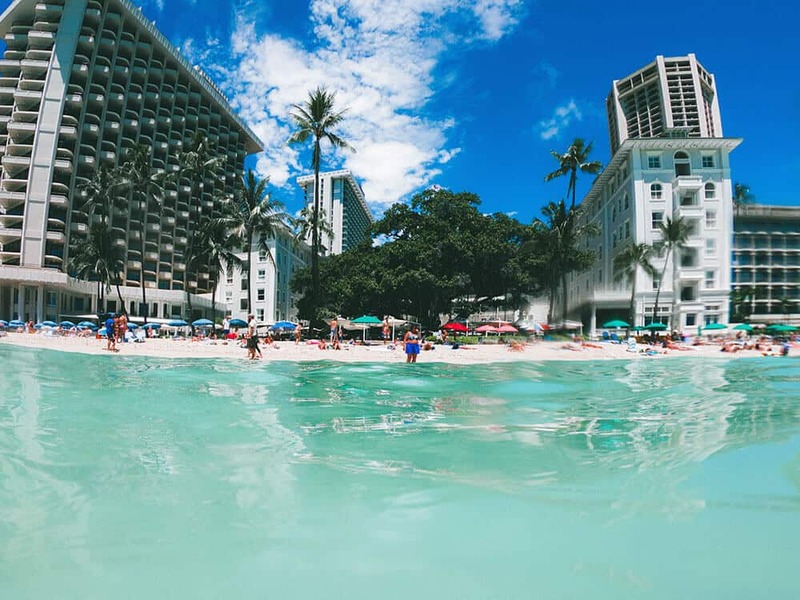 There are a lot of amazing things to do in Waikiki and you don’t want to murder your budget by spending on the wrong stuff! Honeymooning and eloping to Hawaii? Heck, yeah! 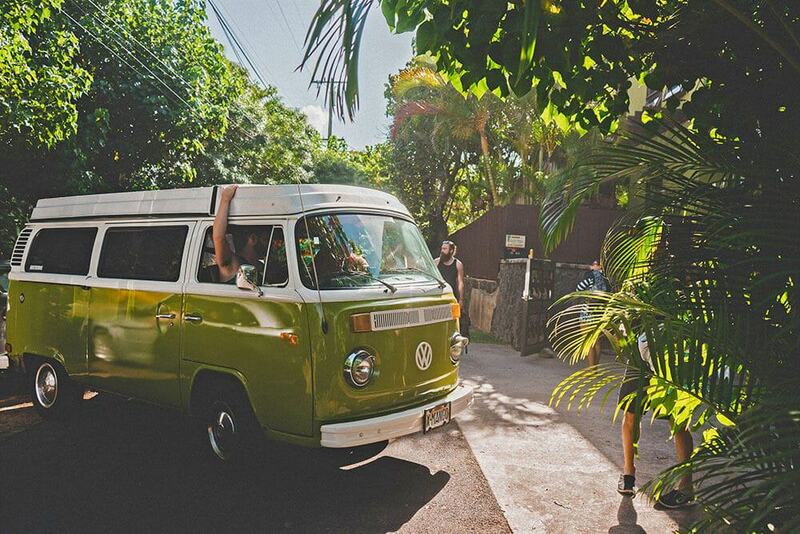 As soon as you begin booking your trip, you’ll see dozens of incredible tours offered throughout the Honolulu area. Want to swim with sea turtles? There’s a tour for that. Drive through Jurassic Park? There’s a tour for that, too. Before you know it, you could be spending thousands of dollars on guided expeditions around the area. 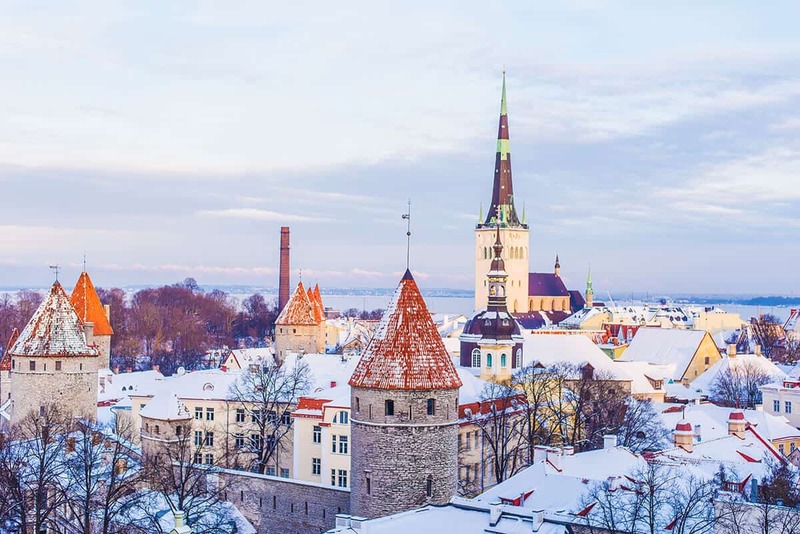 If tours are your favorite part about traveling, then great, book a few. Still, you should keep in mind that it’s fairly easy to explore Oahu without the help of a guide. Start researching where you can see turtles on your own or how you can rent snorkel gear without paying for a full tour. 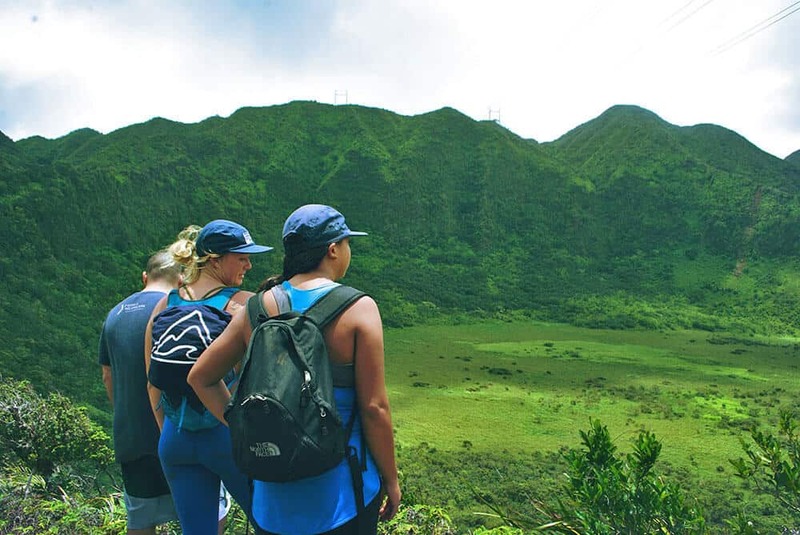 By DIY-ing your expeditions, you’ll cut down on the overall cost of your trip substantially and you can enjoy all the must do in Oahu. Do you really need a guided tour even to find the closest Hawaiian shave ice kiosk? You’d be surprised by how many Groupons there are for various Honolulu attractions, from cage diving with sharks to amazing luaus and dinners. Sure, the thought of downloading a bunch of coupons for your getaway sounds less than luxurious, but saving 40 to 50 percent on a bunch of activities is a smart way to visit Hawaii on a budget. Also, before you book any hotel or activity, do some research online to see if they offer discounts at certain times. Being strategic is a huge part of budgeting while traveling, and quite often a few Google searches can give you a hefty percentage off. Every bit of savings counts, so take the time to do your homework. You can access most parts of Oahu from Honolulu in under an hour, which makes exploring the entire island fairly simple. That is, if you have access to wheels. Although you could use rideshare apps to get yourself around, those bills will add up, especially if you’re leaving the city at least once a day (I’m still trying to explain how to visit Hawaii on a budget, remember?). 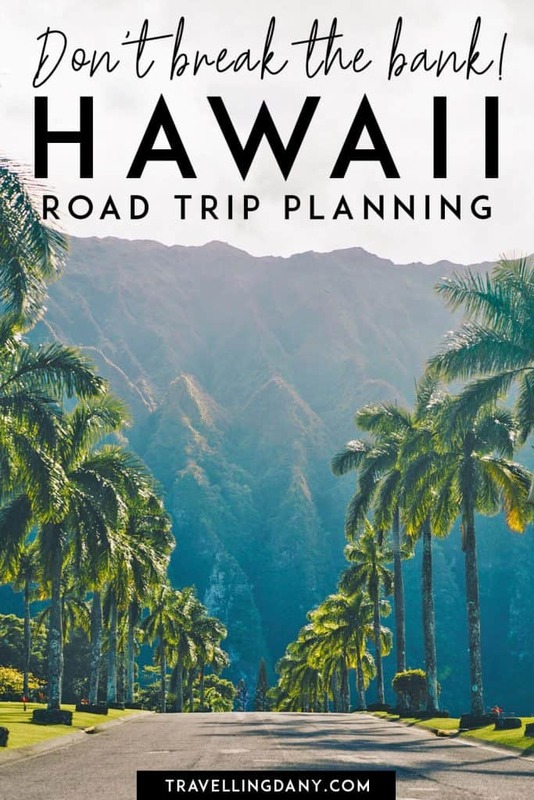 Renting your own car will be pretty handy especially if you’re planning to drive on the road to Hana, one of the most amazing experiences in Maui. So, look into renting a car from a local Hawaiian. Turo is a service that basically works like AirBnB, but with cars, so you can use someone’s spare vehicle for about $20 a day to see all of Oahu. This is certainly a lot cheaper than Ubering and more effective than using public transportation. As you can see, planning a trip to Hawaii doesn’t have to be as ridiculously pricey as some people claim. It’s all about being purposeful with how you spend your money. By cutting down on luxury and being strategic with your flights, accommodations, and entertainment, you can say aloha to the vacation you’ve been dreaming about for so long. What are you waiting for? Procrastination won’t fly you to Hawaii! 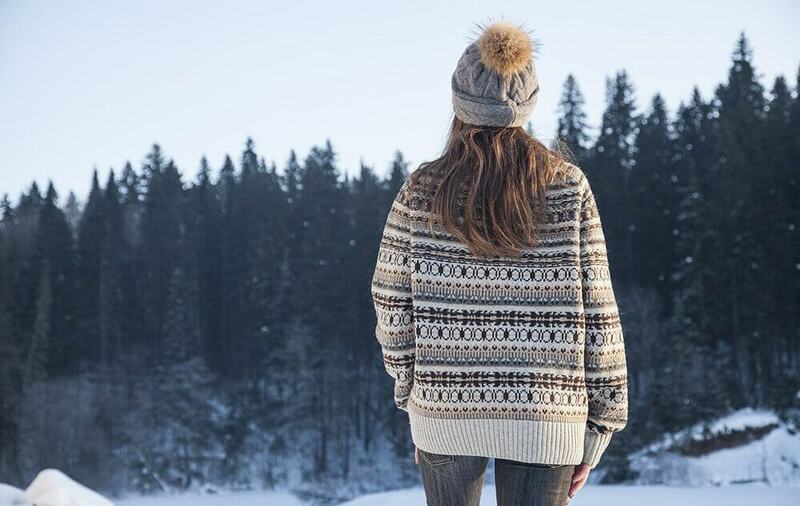 Riley is a full-time editor and writer in Texas, but on the weekends, you can find her hiking at the nearest park or researching flights to faraway places. She’s a lover of literature, road trips, caramel macchiatos, and photography. Someday, she hopes to have visited every national park in the United States. 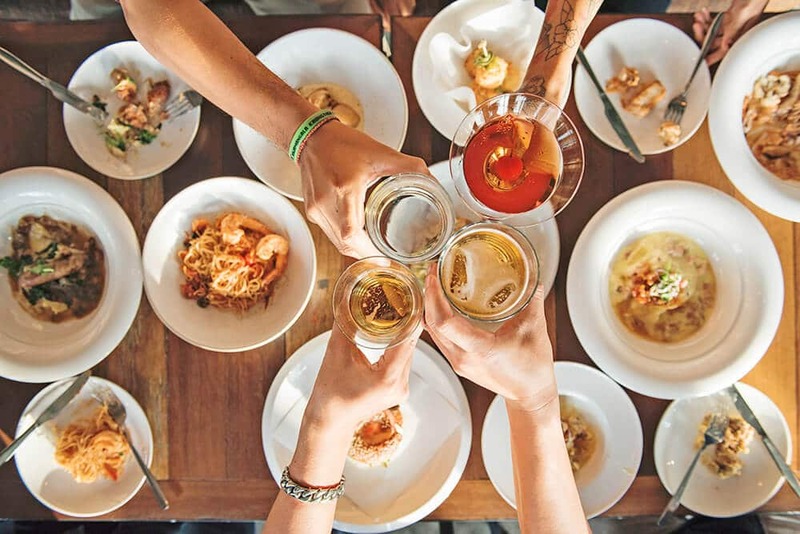 Riley is a regular contributor on Impulsive Wanderlust, a website offering meaningful advice on city travel, outdoor excursions, dining, nightlife, accommodations, and anything leisure-related.